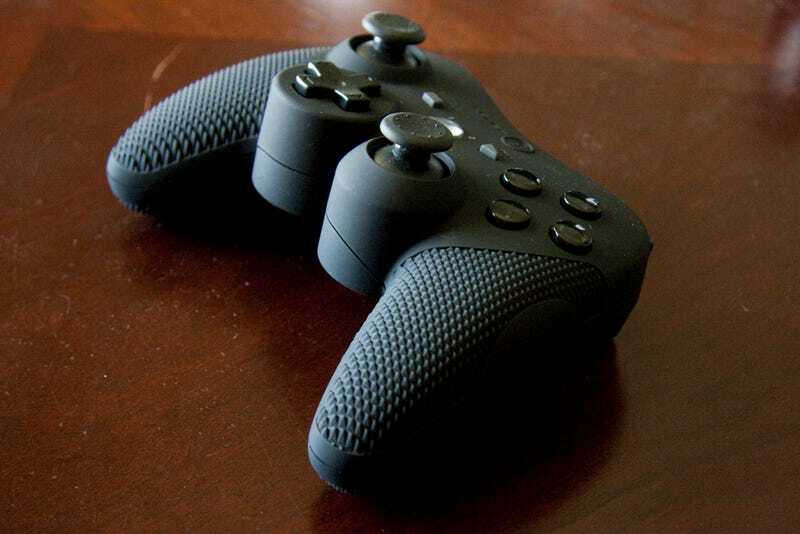 This is the best PlayStation 3 controller right now, precisely because it's not shaped like a PS3 controller. Power A spent a good deal of time taking what's best about the Xbox 360 controller—the most natural "traditional" controller—and bringing it to the PS3. It's called the PS3 Pro Elite, and it's only $50. You have your left analog stick up on the top left and D-Pad down on the bottom. The palm parts extend much lower, and are coated with a grippy, but breathable material, which makes a huge difference when you play games for hours on end. The only thing that Power A didn't bring over from the 360 are the shoulder buttons. The L1, R1 buttons are more mushy, and the L2 and R2 shoulder buttons are super mushy, like the PS3's. This is my only complaint—I wish they went all the way and brought the Xbox's triggers over. Oh, and you still get Sixaxis capabilities, so there really is no sacrifice. Plus you get glowing buttons, and true wireless, albeit a third-party wireless that you need a dongle for. The dongle is included.